Serbian Deputy Prime Minister and Minister for Construction, Transport and Infrastructure Ms Zorana Mihajlovic met with Minister for Europe Sеr Alan Duncan. The meeting took place on Wednesday and two ministers discussed the cooperation between Serbia and UK, as well as the euro-integration process of our country. Her Excellency, Ms Aleksandra Joksimovic attended the meeting in Foreign Office. During the official visit to London, Deputy Prime Minister and UK Minister for Transport Jesse Norman signed the Agreement on international road transport between Serbia and UK, which envisions full liberalization of road transport and freight transport without permits and licenses. 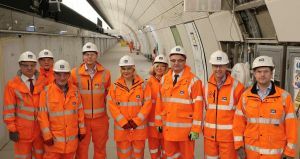 During the official visit to United Kingdom, Serbian Deputy Prime Minister and Minister for Construction, Transport and Infrastructure Ms Zorana Mihajlovic visited the biggest infrastructural construction site in Europe – underground railroad Crossrail in London. 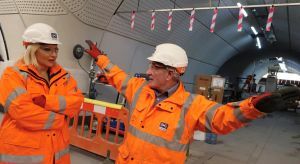 Deputy Prime Minister had the opportunity to be briefed on the underground railroad construction process and the construction site management – from the design to realization. In the conversation with British colleagues, engineers and construction workers training, as well as the standards of construction work have been discussed.